Chicago for RSNA Attendees - ONRAD, Inc.
Chicago is an exciting place to visit any time of year, but there is something about the briskness in the air combined with the anticipation of the end-of-year holidays that makes late November the perfect time to breeze into the Windy City. Whether you are attending the RSNA Conference or accompanying a participant, you will find a diverse assortment of sights, activities, attractions and restaurants. Start by gaining a feel for the lay of the land from the observation deck high above the John Hancock Tower. At 1,500 feet, you will see 360-degree views of the bustling city below, four states and Lake Michigan. Once down from the clouds, explore the Magnificent Mile and the upscale department stores and luxury retail shops it comprises. If you favor unique hand-made items, check out the One of a Kind show and sale, where the works of over 600 artists will be exhibited and sold during four days beginning December 1. Hockey fans will be happy to know that the legendary Chicago Blackhawks will play the Phoenix Coyotes on November 29 at United Center. If you would rather wear the skates yourself, though, add Millennium Park to your itinerary. There you will find the 16,000 square foot McCormick Tribune ice skating rink, open daily with free admission. While there, be sure to take time to see the various architectural public art exhibits at the Park. Whether you’re an art aficionado or casual observer, do not miss the Art Institute of Chicago, one of the largest art museums in the country. Browse its impressive collections of impressionist, contemporary and Old Masters art, and its extensive displays of decorative arts. The Art Institute has a number of family programs intended for all ages; among them is its “wreathing of the lions” event on November 25. Visit the Shedd Aquarium for an eye-to-eye encounter with dolphins and other marine mammals. There you will also see birds, amphibians and, of course, exotic fish. The homesick radiologist may take comfort in sighting an X-ray fish (pristella maxillaris), one of the 250,000 fish swimming in the Aquarium’s five million gallons of water. You could spend days at the Museum of Science and Industry taking part in its interactive exhibits and science experiments and observing its numerous displays. You can also follow researchers in a heart-pounding search for nature’s most destructive storms in “Tornado Alley,” its Omnimax presentation. The whole family will enjoy “There’s Fun to be Done! Dr. Seuss and the Art of Invention,” a hands-on temporary exhibit running during the dates of the RSNA Conference, when you can invent your own Seussian contraption. Chicago has abundant dining offerings in every imaginable category. Here are just a few of its many noteworthy restaurants: Situated in Lincoln Park on the edge of a pond with Chicago’s impressive skyline as a backdrop, North Pond just may be the city’s most romantic restaurant. Local, seasonal ingredients are used to create memorable “farm to table” dishes served in a charming setting. Celebrity chef Rick Bayless takes Mexican cuisine to a new level at Topolobampo, a sophisticated venue, and at its more casual next-door neighbor, Frontera Grill. Both offer authentic Mexican regional dishes, using fresh flavors in interesting combinations. A culinary tour of Chicago would not be complete without experiencing the city’s iconic deep-dish pizza. Visit Lou Malnati’s to see why Chicagoans have treasured this savory delight for seven decades. With so much to see and do, it can be a challenge fitting everything in. But we know you’ll be sure to visit ONRAD’s RSNA Booth #5502! You can learn more about RadRemote, our new technology that allows face-to-face communication between physicians ans teleradiologists.  Learn more about ONRAD teleradiology services and RadRemote.